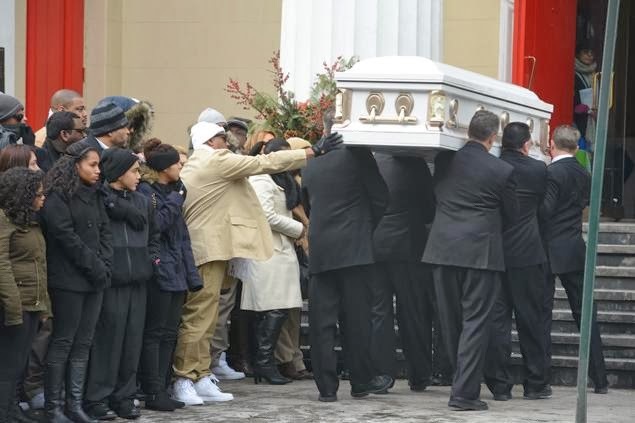 A packed, private Manhattan wake preceded a funeral Mass for the 14-year-old Oquendo nearly four months after he walked out of a Queens school and disappeared — setting off a citywide manhunt. 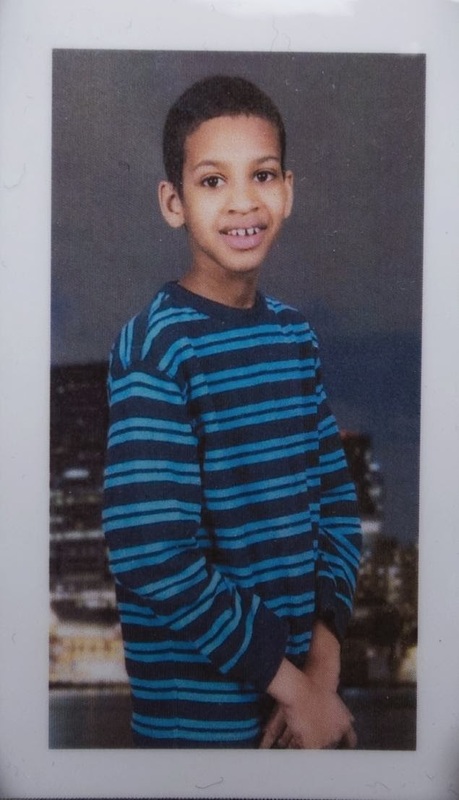 Avonte’s parents and his big brother arrived in a black Cadillac limousine shortly before 9 a.m., and were greeted with heartfelt hugs from early-arriving guests. The mourners included actress and one-time “Celebrity Apprentice” runner-up Holly Robinson Peete, the mother of an autistic child. “Headed to NYC to celebrate the life of another angel,” she tweeted hours before the service. A number of large floral arrangements — including a bouquet of white roses — were delivered to the funeral home. 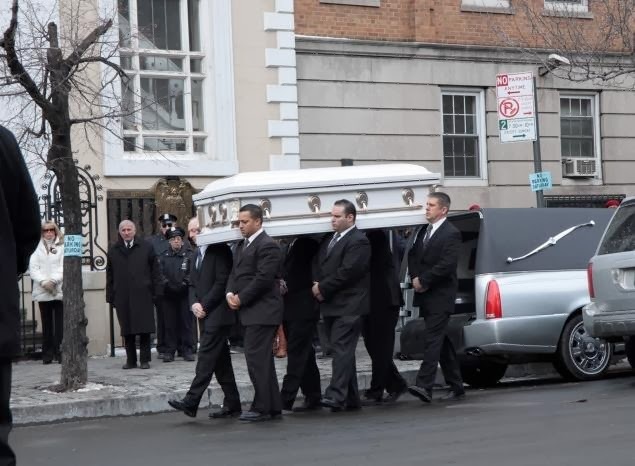 Mourners stood weeping outside the Bleecker St. building before heading to the Mass. “It was like complete silence, it was very sad,” said family friend Leslie Burch after exiting the Greenwich Village wake. “It was a weird feeling. Nobody could speak. Nobody really spoke.